You must make reservations at least 5 minutes in advance of the time at BluWater Bistro - Leschi. We offer a semi-private view area that can seat up to 40 people. We opened The 3rd BluWater Bistro location in the Leschi neighborhood on March 13, 2004. Mick McHugh handed the reigns over to us after 22 successful years of running the Leschi Lake Café. With a slight remodel we cozy'd up the place, added some fantastic rollback windows, high back booths, some flat screen TV's, and leather furniture by the fireplace. The menu reflects all the goodness that a cozy bistro should offer, including the ever famous & popular "Lake Side Café" Fish and Chips... gotta keep the neighborhood happy. 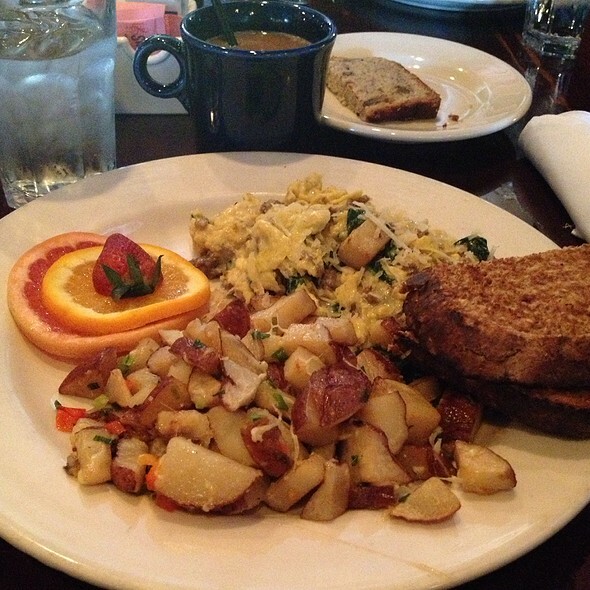 Stop in for some brunch on the weekends or some late night food. Free mimosa for mom all Mother's Day at Bluwater Leschi.. Bluwater is offering our very popular Dungeness Crab quiche for 18.5 as well as a limited breakfast/lunch menu until 4pm. Bluwater leschi is always a popular mother's day destination. Great views and ample parking. Do it right this year.. This is the second time in a few months that we have dined at BluWater. We love it. Great service and food excellent. Highly recommend. Great place for brunch with friends. Beautiful waterfront location. Blue water is my go to spot for pretty much everything. Birthdays family time be time girls night out. It has the perfect on beyond view and no matter what your occasion or mood it will guarantee to fit it. The food and drinks are spectacular the service is wonderful! Food and service were great. View of the lake was wonderful. They need to refresh the interior -- chair was ripped, blinds were broken. We did a staff happy hour here and had a great time. Good food and service! Julie and the wait staff were fbulous for our group of 32. Made a special night even better! Service was poor. Waited a long time for each course. They forgot our drink order. I said to the manager it was very hot and his reply was, "I'm not hot." Won't go there again. Great service and the food was very good. Thanks. Fabulous food yummy; gracious service, we loved it. Will definitely come more often.....easy parking. Arrived early for our reservation so we had time to look around. Awesome views if the water. My food was excellent however my wife's steak was undercooked. Dessert was superb. Our server was excellent. Attentive and great attitude. The food and service was excellent. The restaurant's ambiance was fantastic. We are definitely going back! Good food, service and a view! Good neighborhood spot. 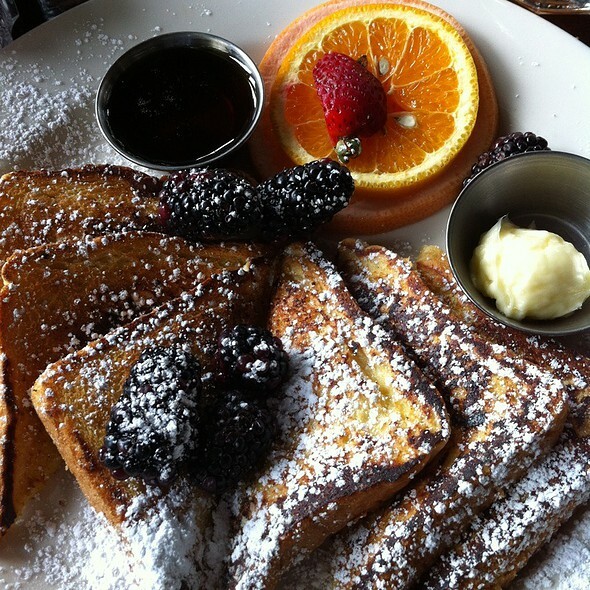 Food is generally always good and the setting in Leschi is very pleasant. Some potential improvements: Wine list lacks full-bodied reds. Sometimes servers lack precise menu knowledge. We go to Blu Water - Leschi because it's close. The food is decent, the service reliable. I keep wanting to be 'wow'ed...but remember that's not why we come here. Perfectly servicable. Would recommend with a caveat. The crab-stuffed Mahi Mahi was delicious as was the salmon entrée. Those were fantastic! Generous Caesar salad and enough to share for the whole table. The rib-eye steak was a big disappointment. We were not sure it was even a rib-eye. The cut was thin, the texture was too chewy and the meat was overcooked. It's a great neighborhood location with good parking and fantastic views of Lake WA. We had a wonderful dinner here with friends and family to celebrate the end of our holiday. The service was fantastic and the food and drinks were great. I would highly recommend this venue. Family from out of town were visiting and I wanted to take them to a nice place with a great view. We had a great time and the food was excellent. Highly recommend! 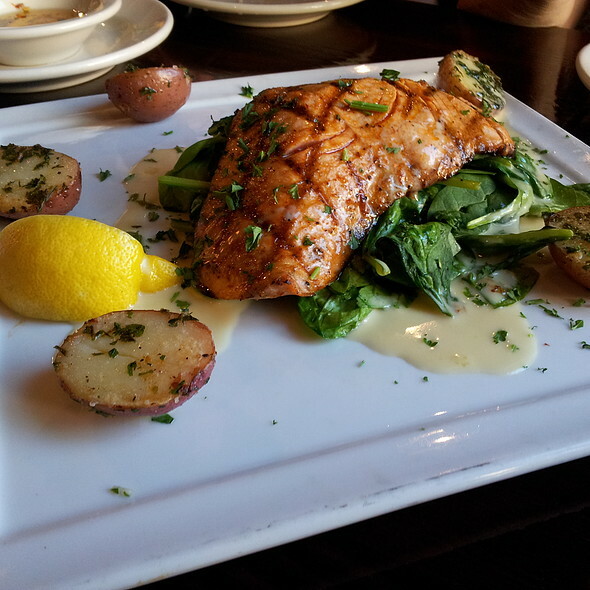 I have missed BluWater's fantastic salmon dish since their branch at Greenlake closed. My husband and I had an opportunity for a night out on New Year's Eve and I was happy to see that BluWater Leschi would be open that evening. I imagine it was louder than a usual night, as there was live music and lots of big tables but it was a fun and festive atmosphere. It was dark outside but it looked like the view would be amazing with some daylight. The food was very good. The spinach with the salmon could have been cooked a little more and it was a little short on the lemony sauce but the salmon was cooked perfectly. The highlight of the meal was the blackberry drop drink. I'm a fan of lemon drops but saw the blackberry drop on the menu and decided to give it a try - it was delicious! I had to recommend it to the next table after I heard the woman order a lemon drop. 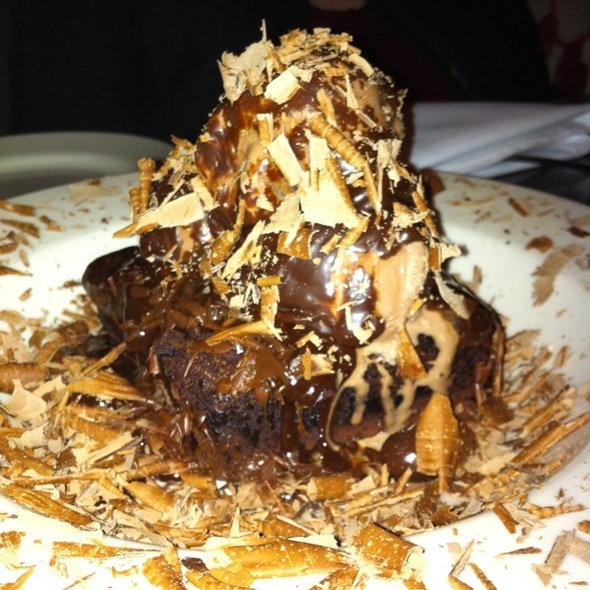 The BluWater is definitely a good option for special dinners out! This is a cozy good food establishment. For New Years Eve, it was one of the few places that had open tables to reserve the day before. I feel this is a wonderful little known gem on Lake Washington. The service was very good and the food is simple and has always been consistently good. There is also a nice bar and lounge area that is very inviting and a great place to wait for your table. Great place for good food. The view is wonderful. Have to get the right waitress like Carmen for an exquisite experience. Noise level a little too loud for good conversations but better than too quiet. Nora our server was awesome! She was super accommodating and very friendly! The bartender was great also.l! The food was outstanding as usual! We have come her on our Anniversary for the past 3 years! This will definitely be our Anniversary dinner spot and more! Nice view, good food, great service. We are regular customers even though we live in Kirkland. The place was extremely crowded so thank goodness we had a reservation. Although the line was very long, we were seated quickly. Probably because it was just a party of 2. This place is clearly a favorite for locals and we enjoyed our meal. Service was a bit off, but considering how packed I was, I am not surprised. The food was excellent and the atmosphere was lively and everyone seemed to be having a good time. I would recommend this place to friends for sure. We will also return, hopefully on a quieter night, to enjoy a more pleasant experience. All I can say is what a lovely neighborhood holiday celebration surprise. The sheer vibrancy and energetic feel of the Bluwater Bistro (Leschi-located) establishment was wonderful. However, what truly placed our dining experience in the over-the-top column was your incredible, efficient, ever-smiling wait staff... from your very efficient hostess, to the engaging bartender, onto the very capable meal-table wait staff personnel. Your establishment truly grasped and celebrated this year's Christmas day patrons' dining experience in a very bold and generous holiday fashion. We celebrated this wonderful holiday meal experience amongst very engaging kitchen and wait-staff personnel in fine and memorable fashion. Indeed, keep up this terrific dining experience. We'll be back next year. Had a Great Christmas Day Dinner at BlueWater. We plan to go back again soon. Great Christmas Eve meal, enjoyed by the entire family! Thank you! Very warm and welcoming staff catered to our children's needs. Quick service. Lovely evening with a wonderful moonlight view of the lake. My friend and I shared a Reuben, which was very disappointing. The corned beef was fatty and gristly. Not what I had expected. I love this spot! It's just the right amount of fancy - not to much, but good food and good atmosphere. There's always something on the menu I will like. The mahi mahi was amazing. Great date spot right on the water. Great service for Sunday Brunch! Nice corner table. We brought an out-of-town cousin here for a special family night. I found the food fabulous: I had Gorgonzola and Pear Ravioli (with prosciutto, figs, cider cream sauce), it was incredible! My cousin's gourmet burger was at least 4" tall with all the fixings. The lighting was very dim (I guess it's meant to be romantic, but we all needed our smart phone lights to read the menu). The bar was a little noisy when we arrived, but the restaurant was acoustically protected from the bar and very quiet. We had a view of the lights on the I-90 bridge to the south, and accross Lake Washington to Bellevue. There was a parking lot just south of the restaurant with plenty of parking. Service was attentive without hurrying us to get us out. I'd like to go back, for sure. We loved or server, she was so patient with us. Food was excellent and service prompt. It was a little loud bc there was a large birthday crew next to us but the view is great and the food was fast and tasty. Nice, long standing neighborhood institution with good comfort food and nice views over Lake Washington. I've been to BluWater Leschi on several occasions. The ambiance is always nice and the food outstanding. We had 8 in our party including 3 children and service was awesome. Dude was attentive. Checked on the table without being super annoying. There was also another young lady that went out of her way to periodically check on our table. She even helped quiet one of the little ones that was getting a little too pumped for the occasion. Absolutely great place to visit for all occasions.